from a lower voltage photovoltaic module. If you have any questions please don't hesitate to call us at (562) 423-4879. The links on the left will take you to each unit on this page. from our location in Kingman, Arizona. 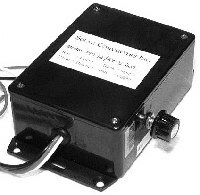 a 12 volt module or array. input voltage = from 15 to 22 volts d.c.
information is being shown for reference only. This looks the same as the 12/24 volt model. 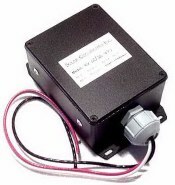 is available) and 3 amp for up to 2 minutes. housing = black plastic with mounting tabs on the ends. 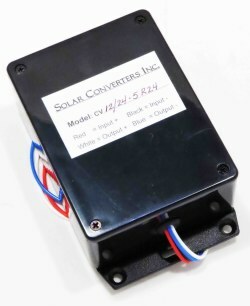 module to charge a 48 volt battery bank. 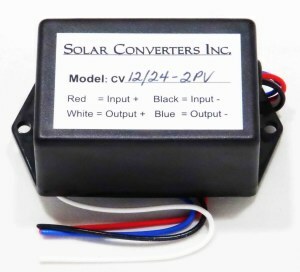 Input (24 volt solar module): 30 to 50 volts d.c.
Output (+/- 2%): 56.4 volts d.c.
15 ma quiescent (operating) current. 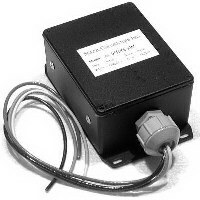 User supplied input and output fuses are required. The housing is a NEMA 4 watertite enclosure. telecommunications / remote monitoring applications. amount of your order and shipping is Priority Mail.